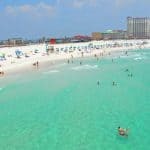 beach travel, beach travel destinations, beaches of the Emerald Coast, best beaches, Florida Beaches, Navarre Beach, Navarre Beaches, Opal Beach. 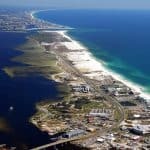 Navarre is a compact beach community found just east of Pensacola at the far northwestern tip of the state. Navarre has 12 miles of pristine white shoreline. It sits between Gulf Islands National Seashore and Navarre Beach County Park. The Navarre beach community offers solitude and simplicity. Its pristine beaches are named among the best in the nation year after year. Visitors compare crossing Navarre Bridge to transcending paradise time and time again. And so, relaxation is what you are going to find here. You will be able to sun on the beach, swim in emerald waters, enjoy a picnic in the park or pedal along a scenic bike path. Read our Navarre Florida Travel Guide and find everything you need to plan your next beach vacation in beautiful Navarre. Visit the area beaches in Navarre and along the Emerald Coast. Over the course of a year, the temperature typically varies from 42°F to 89°F and is rarely below 28°F or above 93°F. The warm season lasts from May 22 to September 29 with an average daily high temperature above 83°F. The hottest day of the year is July 19, with an average high of 89°F and low of 75°F. The cold season lasts from December 3 to March 1 with an average daily high temperature below 66°F. The coldest day of the year is January 18, with an average low of 42°F and high of 60°F. There are three airports close to Navarre, Florida. The closest is going to be Northwest Florida Regional Airport, which is 28 miles away. Pensacola International Airport is the next closest airport, and is approximately 29 miles from Navarre. You can also fly into Northwest Florida Beaches International Airport, which is 73 miles away. To create a fair watch, go to AirFareWatchDog which will alert you when the flights are going down in price. Also check my airfare tips on how to make sure you are getting the lowest fare. For finding the lowest fare, go to CheapFlights. I find them to be the best for flight comparison, and getting the best deal if you are ready to purchase. Once you have your airfare, make sure you reserve your airport parking ahead of time. You can Save On Airport Parking and not have the last minute hassle (been there) of trying to get parking reserved. Rent a car in Navarre FL and get ready to experience all the neighborhood has to offer! Why waste your precious vacation time waving down pricey taxis or trying to navigate confusing bus routes? 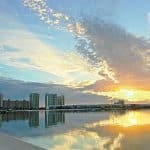 CarRentals.com has cheap car rentals in Navarre, Pensacola that are perfect for your rental needs. Thinking about a two-seater for a romantic getaway? They’ve got you covered. Traveling with the whole family in tow? Let them help you find the spacious vehicle that’s right for you. No matter what type of car you require, They’re sure to have it in stock. This place is great! ! Decently priced food and drinks with a beach friendly atmosphere. You can go casual, even in swim suits and sandy flip flops. The waitresses in the bar area are all friendly! Try the chicken sandwich, as it is fantastic! During the summer months, Lagerheads offers free family-friendly movies on the beach. No purchase is necessary to enjoy the movie. Beach blankets, chairs and picnics are welcome. For more information call 850-710-3103 or visit Lagerheads. Vine is a wine bar and shop. You can walk in and out with a great bottle of wine or sit down and enjoy a glass in their relaxed atmosphere. They have delicious small plates and a few desserts for you to enjoy with your wine. And of course they have great beers! For more information call 850-684-3999 or visit them on Facebook. This is a great sports bar and pizza destination on the Emerald Coast. They have you covered from Okaloosa Island to Navarre with five locations throughout Northwest Florida. They have nightly specials, activities, and entertainment. They will pretty much use any excuse they can think of to offer unbeatable drink specials. Check them out at Helen Back or call 850-396-6568. This sushi bar is located on the waterfront in the heart of Navarre. Grab a seat at the bar and have some fun with their professional and creative sushi chefs. They have an enclosed deck, and an open air deck with an amazing view of the Santa Rosa Sound. 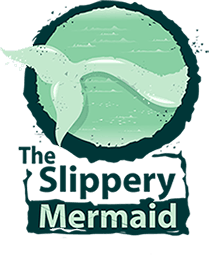 For more information call 850-621-2119 or visit The Slippery Mermaid Sushi Bar. 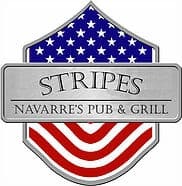 This is a sports pub with a patriotic theme located right in the heart of Navarre. All of their dishes are made from scratch using the freshest ingredients. Happy Hour is from from 2-6 pm everyday and all day on Wednesdays. Join them and enjoy one of their many beers on tap, whether it’s Guinness, Bass Ale, Yuengling, Shocktop, Miller or Bud Light! For more information call 850-939-8400 or visit Stripes Pub & Grill. Hungry? Can’t decide whether you want eggs and hash browns from this restaurant or that. This is a unique family owned eatery that’s not afraid to make you feel like one of the family. Delicious, fresh, & fair priced. The staff are very friendly and will recommend plates if you can’t make up your mind. Definitely worth your time. The foods of Caribbean decent, Puerto Rico, Cuba; your palate will be left wanting more after that last bite. For more information call 850-710-3760 or visit them on Facebook. This is a great place to enjoy delicious meals surrounded by the company of your friends. Here you will find fresh, affordable seafood. Scooter’s Fish House is one of the leading restaurants in Navarre serving the best seafood in town. They offer mouthwatering meals that will keep you going back for more. They have a wide variety of options on their menu, so you are sure to find something you will love. For more information call 850-396-5128 or visit Scooter’s Fish House. They specialize in meats: ribs, pulled pork, beef, sausage, half chickens, chicken breast, burgers and turkey. If it can be smoked, they will smoke it for you! All of their meats are slowly smoked to perfection and covered with their signature rub (except sausage and burgers). They coat their ribs and half chickens with their specialty sauce, really bringing out the favors and color of the meat. For more information call 850-936-4244 or visit The Rib Shack. Their restaurant offers traditional “California Style” Mexican Cuisine. All their food, sauces, and salsas are made fresh daily. They use 100% all white meat “Chicken Tenderloin” and “Certified Angus” beef. For the freshest “Crab” and “Shrimp” they use local seafood. They prepare their food fresh-to-order and promise fresh, delicious, flavorful food made healthily in house daily, in a relaxing and inviting atmosphere. For more information call 850-936-4111 or visit Cactus Flower Café. They use only the best and freshest ingredients available. Fresh ground beef, fresh never frozen chicken breast and wings, and fresh living hydroponic lettuce. Their French fries are hand cut and flash fried, frozen then cooked to order and sprinkled with their own fry seasoning. They have fresh salsa and chili made from scratch. Your food is cooked to order: you order it, they start cooking it. It will take a little longer than your usual chain restaurant, so please sit back, relax and enjoy your visit. They are not a fast food place, but a place for good food, cooked fresh. For more information call 850- 936-9900or visit Johnny Huston’s Grille & Bar. Sage Paddle Co. are boarders and what to share the experience of seeing the island through paddling. Their goal is to bring you unforgettable memories, experiences, and adventures that can only happen while on the water. They are locally owned & operated by Sage Offutt, who founded the company. You will get personalized instruction by qualified instructors in a safe, fun and non-intimidating environment! They offer premier brands like Red Paddle Co, Boardwalks, and Starboard. Their fleet is one of the largest on the seashore and can accommodate up to 50 paddlers and 12 kayakers! Their kayaks are 1, 2 or 3 man units and are easy to paddle on the ocean surf. For more information call 850-396-3044 or visit Sage Paddle Co. They specialize in light tackle fishing of all sorts (including fly fishing), Full Net Fishing Charters offers newcomers, children and old salts the promise of having a great time on the water. They will fish the inshore, backcountry, near shore and bay waters of northwest Florida around Pensacola, Gulf Breeze, and Navarre areas in search of game fish such as Tarpon, Red Fish, Speckled Trout, King Mackerel, Spanish Mackerel, Cobia, False Albacore, Jack Crevalle, Sharks, Red Snapper, Amberjack, Grouper and many more species. 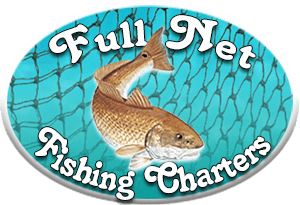 For more information call 850-565-0593 or visit Full Net Fishing Charter. Located exactly between Pensacola and Destin, Florida in Santa Rosa county, Navarre Pier is one of the prime spots for pier fishing. It measures 1,545 feet long and is 30 feet above the water. 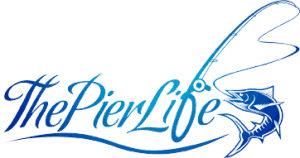 The pier offers fun for the entire family. Navarre Pier has a privately-owned bait and tackle shop that gives guests the opportunity to rent fishing poles in case you forget yours at home! Visitors also can choose to enjoy the tasty food at the outdoor restaurant located right on the pier. Whether you choose to take a stroll or jump right into the middle of the action, Navarre pier is the place for you! For more information call 850-936-6110 or visit Navarre Beach Pier. They offer fun and excitement for the whole family. Visit the Witbit Waterpark so the kids can run off some of that energy. Pontoon boats are perfect for a family day on the water, they have brand new, beautiful 2016 Bennington pontoon boats. Rent a Wave runner, kayak, or paddle board and navigate the waters of the intercoastal waterway. They also have helicopter rides, dolphin wave runner tour and miniature golf. For more information call 850-939-9923 or visit Navarre Family Watersports. They do guided kayak Eco tours in the Navarre area. Their eco tours are on the mostly shallow, protected waters of Santa Rosa Sound and Choctawhatchee Bay. They design the tours for the first time kayaker as well as the more experienced paddler. For more information call 850-313-9158 or visit them on Facebook. One mile from Navarre Beach, this hotel is located on Highway 98, next to the Intracoastal Waterway. It offers a seasonal outdoor pool, free WiFi, and a continental breakfast. With stunning views of the Santa Rose Sound, the Navarre Best Western offers a gym and business center. Free on-site parking is also provided. For more information, pricing, or to reserve your room, visit Best Western Navarre Waterfront. This hotel is located on Florida’s Emerald Coast and 3.5 miles from Navarre Beach. The hotel features an outdoor pool and rooms with seating areas. A continental breakfast is served each morning at the Navarre Hampton Inn. Guests at the hotel can work out in the gym or use the business center. For more information, pricing, or to reserve your room, visit Hampton Inn & Suites Navarre. Featuring free WiFi and a restaurant, SpringHill Suites by Marriott Navarre Beach offers accommodations in Navarre, just 22 miles from Destin. Guests can enjoy the on-site bar. For more information, pricing, or to reserve your room, visit SpringHill Suites by Marriott Navarre Beach. Let’s go! 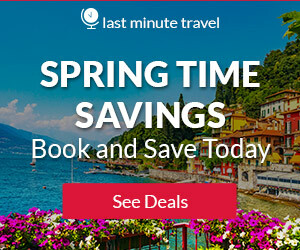 Your site makes it very easy to plan a vacation all on one site. Wonderful use of images and I really like how your “read more” stand out. Having been to Key West myself and knowing many of the local and visiting musicians maybe you could do posts about the entertainment in various places in Florida. I really like your palm tree on the tab the shows in my open tabs, how do you do that? Shoot, it has been so long since I added that palm tree, I can’t even remember 🙁 Yes, that is a fantastic idea to do entertainment. Florida is so big though, I think I would be doing that for a while 🙂 Thanks for visiting! The fact that the weather here is perfect, is a no brainer. I wish I lived in a place that was warm like this all year around. I have only been to a few places before, but this is for sure on my to do list. Thanks for the post, have you been here a few times before? I have been here and there in Florida many times. Eventually I will live there as well, since I visit so much. Navarre and the whole Emerald Coast has perfect weather, beaches, atmosphere, and activities. It can’t be beat! Thanks for reading AJ. I have never heard of Navarre Florida. Normally we hear about Miami or Orlando. Your description about Navarre not only makes me want to go visit Florida, but makes it sound like a luxury spot! What is your favorite activity in Navarre? The beach Kayaks are something that I predict to be my favorite! Kayaks and paddle boards are the most fun, for me anyway. And yes, Navarre and the whole Emerald Coast is really a luxurious area of Florida. You would definitely love it here! Thanks for reading Tom. Navarre Florida looks amazing. From the aerial photo it looks like it is a fairly new area. Is that correct? The sand is so white and it looks like a wonderful beach destination to visit. The weather is what I am accustomed to. I am from the Gold Coast in Queensland where the weather is very similar. I just spent 5 weeks in Queensland’s Palm Beach. Do you review Australian beaches? No, it’s not a new area, but it is amazing 🙂 Yes, the Emerald Coast as very white, fine sand. Which is much different than other parts of Florida. Yes, I have reviewed all the beaches of Australia 🙂 I am not done a travel guide yet though. Working on it. Thanks for reading, and glad you enjoyed. What an informative and comprehensive post! It looks like a fantastic place to visit. I would like to try out the paddle board or kayak options. Having the links to all the bars and restaurants is a nice added touch. You can’t lose with 12 miles of white, sandy beach! No, Jason you cannot lose with that much wonderful beach 🙂 I am getting ready to move there, and the first thing I am doing is getting me a paddle board. I have tried it a few times, but I want one of my own 🙂 Thanks for visiting Beach Travel Destinations! Wow, every time I visit your site I find myself wanting to add another destination to my bucket list. This looks like a wonderful travel destination. So many things here appeal to me, from the wonderful white sand beaches and crystal waters, the awesome views and not to mention so many activities to keep me busy. Are you aware of any freshwater fishing guides in the area? Yes, there is freshwater fishing on the Blackwater and Yellow river. Click here for the website that lists all the freshwater fishing locations near Navarre. Yes, Navarre and the whole Emerald Coast has beautiful white sandy beaches with beautiful blue waters. Thank you for reading, and please let me know if you need any additional information. And being from Chicago, this appeals to our family. Can you also tell me the best airport to fly into from Chicago? I am trying to find the most economical way for a family to fly. Thanks! After telling you to fly into Tampa (for me it is cheaper than Miami), the best flight for you is going to be going from Chicago to Miama 🙂 I would check the rates with Southwest Airlines. I think they will be your best bet. You have broken this beautiful place down nicely. It is a wonderful vacation spot with a good amount of things to do. I love white sand beaches. Thanks for the information on the cheapest car rentals & flights. That is always helpful in planning a vacation for me. Are you located in this area? I am from Texas, but visit Florida frequently. I am moving there within a month, as it just makes sense for me 🙂 I am glad you enjoyed and thank you for checking out the Navarre Florida Travel Guide. 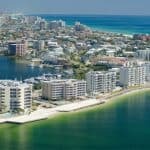 Could you please tell me, what other places could I visit if I plan a 3 week trip to the states and want to include Florida beach in my itenary? Thank you so much for this really informative post! Hi Emrah, boy there are so many places. If you like the coast, and it’s beautiful scenery, I would start in Florida. Fly into Tampa, as the Miami side is more expensive. Don’t get me wrong Miami beach is wonderful. But to skip all the crowds fly into Tampa. Stay on the east coast like St Pete and Clearwater. Then you can drive across the state on Highway 4 to New Smyrna Beach ( a couple hour drive) and stay there. You could then possible go up and visit the east coast of Georgia, South Carolina, and North Carolina. All beautiful with their own personalities. Or you could fly back out of Tampa and fly into Savannah, Georgia or Charleston, South Carolina. I am so glad you enjoyed reading. Please let me know if you would like further information. Things article makes me ready to pack my bags and head to Navarre Beach! With lots of travel, food and lodging options, it makes it simple to get accommodations in place. I can smell the salty air now and see fellow beach goers setting up beach umbrellas now. Great read! Thank you Roxana! Oh yes, the salty air, the slight breeze, the sun shining on the white powdery sand, and of course your toes sunk into the sand. The only way to go! Thanks for visiting my Navarre Florida Travel Guide. Good reviews on what to see and do, they all read like you have done them all! Maybe you have lol 🙂 Your sidebar and navigation are all excellent and plenty to keep your customer on your site for a very long time. Overall great…..I’m ready to book a holiday!!!! Thank you George for your comments. Yes, I have been to a lot of them 😀 I love Florida, and Florida beaches of course. You will love it too! 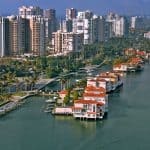 This Florida Travel Guide is great! We go there every summer…you know, Disneyworld with the kids. But me and the wife like to take off to a resort once in a while, without the kids, and this site is very informative. Thank you, followed and shared you too. Thank you so much for visiting Mike, and I am glad you enjoyed reading! Navarre has wonderful beaches, shoot the whole Emerald Coast does! Wow! I didn’t know there were so much things to do at Florida beaches. They all look so amazing and Navarre looks like a wonderful place to visit. I really want to go to the Gulf Islands National Seashore. I am glad I found this information. How did you get interested providing beach travel information Leahrae? Yes, Florida is an amazing place Ray. I have been many times, and I guess I just decided I wanted to share my experiences, along with provide information on food, drinks and fun, as I wish I would have had information like this when I travel to these wonderful beaches. Yes, you will love Gulf Island National Seashore. Thanks for visiting Beach Travel Destinations! This Best Western is NICE! 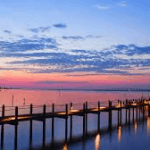 To get a luxury hotel in a dream location like Navarre Florida, just a bonus as such a good rate. Glad you enjoyed reading! You will have to visit soon! Wow, very thorough and extremely helpful. The Cactus Flower Cafe sounds amazing and is definitely on my list. Thanks for putting this together. It’s funny that you said “Visitors compare crossing Navarre Bridge to transcending paradise time and time again” because I was having a similar thought just looking at the picture. Appreciate all the great info. Yes Jay, you will feel that when you do cross the Navarre Bridge! Absolutely beautiful! I am glad you enjoyed reading about Navarre Beach. The Cactus Flower Café is a great place to go to when you are visiting. Thanks for reading! I like this page it seems you have put a lot of work in it. It has some good recommendations on what to do around I wonder if all of them correspond to an affiliate offer and you can monetize with them which of course should be great. No, none of the recommendations correspond to affiliates. They are just the best places to go for great food, drinks and fun. I will work on getting the share buttons moved, thanks for letting me know 🙂 Glad you enjoyed the Navarre Florida Travel Guide! The florida travel guide is so helpful. I liked how clearly you listed how to book and where to book and the best places. Also the waterproof camera smart phone cover is something that I wish I had seen earlier! Last summer I was in hawaii and was standing on a rock to take a picture and dropped my phone into the ocean and of course it was destroyed. If I would have had this case then I could have bought it! I’ll be using this site a lot! I am glad you find Beach Travel Destinations helpful! Everyone in my family has a Seawag. Being a beach lover, it is something I have to have, LOL. Thanks for reading!